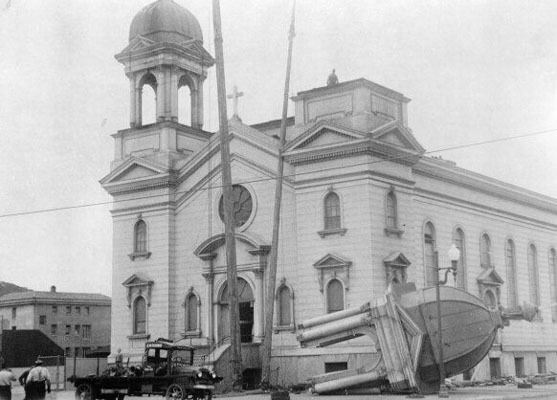 Title ["Wrecked" St. Anne's Church] [graphic]. Location Folder: S.F. Churches-Catholic-St. Anne's (Old).